Plum curculio is a snout beetle pest found throughout North America east of the Rocky Mountains. It generally attacks in early spring, but the damage will continue throughout the season. 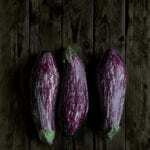 The name is deceptive because the insect attacks fruits other than plums. Apples, peaches, pears, and cherries (as well as plums) are all susceptible to plum curculio. Damage from these beetles can be extensive. 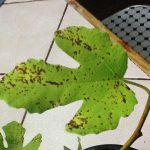 Warmer climates may see both early and late season damage where colder climes may only be affected during early fruit development. The adult is a 4-6 mm long beetle with a rough covering of mottle black, gray, brown and orange. Wicked looking jaws are located at the tip of a long snout. These insects overwinter under debris in and around the yard. Plum curculio damage begins as soon as the adults emerge in the spring, soon after peaches bloom. The adults feed on buds, flowers and newly set fruit, mate and lay eggs in the newly emerging fruit. The first plum curculio damage occurs when, to lay her eggs, the female eats a crescent shaped slit that looks like someone punctured the skin with a fingernail. Eggs hatch in about five days and the tiny plum curculio worm, a grayish white grub, eats it way to the center of the fruit where it will feed for the next two weeks. Soft fleshed fruits are preferred because the hard, developing fruit of apples and pears will actually crush the tiny plum curculio worm. At this stage, immature fruit drop is common. At the proper point in its development, the plum curculio worm burrows out of the fruit and drops to the ground. About five to six weeks later, adults emerge from the soil to feed. Here is where harder fruits suffer plum curculio damage. These young adults prefer smooth skin on which to feed. In addition to the crescent shaped fruit wounds, early fruit drop may indicate the need for plum curculio control. Larvae imbedded in the fallen fruit will survive on the decaying fruit. Late season damage consists of small brown scabs of scarring on the skin due to adult feeding. Insecticide for plum curculio control isn’t needed at this stage, as damage will be minimal. 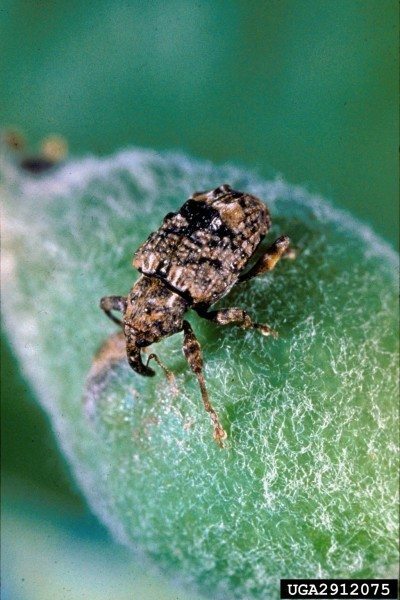 Plum curculio control begins in the spring when overwintering adults emerge. Insecticide for plum curculio should be sprayed at petal fall and first cover stage for hard fleshed fruits. Two additional applications at seven to 10 day intervals are best. Spray for plum curculio in soft fleshed fruits, like peaches and cherries, at the shuck split and first-cover stages. If the flowering season is cool and dry, additional applications may be necessary. The adults may delay emerging until the weather is warm and wet. The best spray for plum curculio is phosmet or carbaryl. Always check the label and follow the instructions. 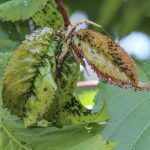 For those who would like an organic method for plum curculio control, jarring the insects from the trees and disposing of them is the only solution. Spread sheets on the ground in the early morning when the insect is most active. Roughly shake the branches with a leaf rake or long pole. The insects will fall from the blossoms or immature fruit and can then be collected and burned. Clean up all debris and early fruit drop and dispose of it in tightly sealed containers or burn.